Firozabad and Bhatinda regions were put on high alert on Thursday morning after militant commander Zakir Musa was spotted in Punjab wearing a Sikh turban, reported News 18. 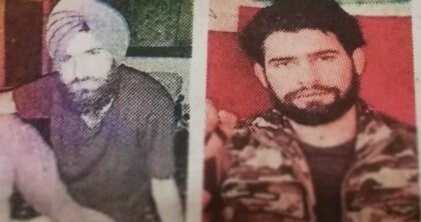 “Punjab police in Gurdaspur had even pasted posters of Zakir Musa, the chief of Ansar Ghazwat-ul-Hind militant outfit with reported links to Jaish-e-Mohammed (JeM),” the report said. “Army Chief Bipin Rawat had recently warned that attempts were being made to revive insurgency in Punjab and had even cautioned that people needed to be careful especially during the festival season to prevent anti-national forces from succeeding in their nefarious designs,” News 18 reported.